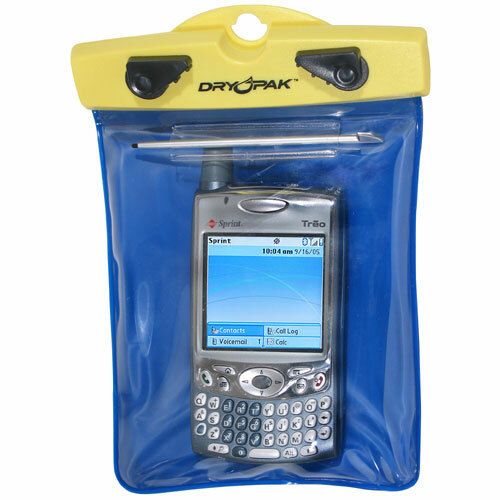 Visit Aquapac's Waterproof Armband Case page. This ultra-tough case holds your cell phone, GPS, or radio safely out of reach of the water so you never have to worry about ruining your electronics on the river. NRS's Aquapac Armband Case fits snugly around your bicep and keeps your communication and navigation devices close at hand. 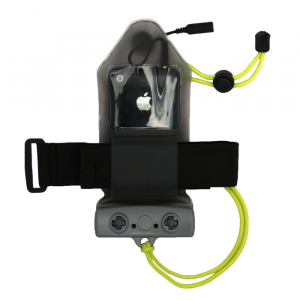 The case material allows you to speak through it so you can use your radio or phone without risking water exposure. 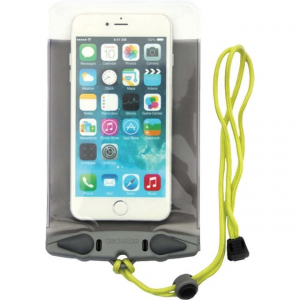 Aquapac Camp & Hike Waterproof Iphone 6+ Case 358 5534101100. Talk listen and operate controls right through the case. 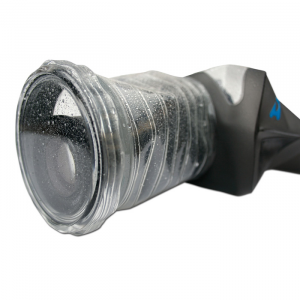 All Aquapac waterproof cases are PVC-Free. They're made from Polyurethane (PU) - 100percent recyclable thinner stays flexible when it's cold easier to operate equipment inside the cases. 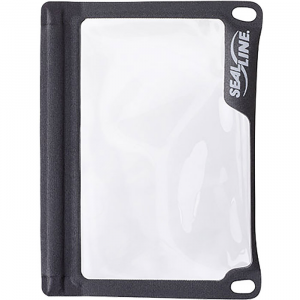 The 6 Plus Case uses Aquapac's patented lever closure system that makes the case waterproof down to 30 feet / 10 meters. Also fits the iPhone 7 iPhone 7 Plus and Google Pixel XL. Most things work normally through the PU case including the camera and touchscreen. The exception to this is you lose use of the touchscreen when the case is submerged; water breaks the circuit between your finger and the screen. Use the phone's volume buttons to operate the camera underwater. You'll be able to talk and hear without a problem. It comes with an adjustable lanyard so you can wear it around your neck or cinch it to your life jacket. The case should float with phone inside. Test that before you depend on it. 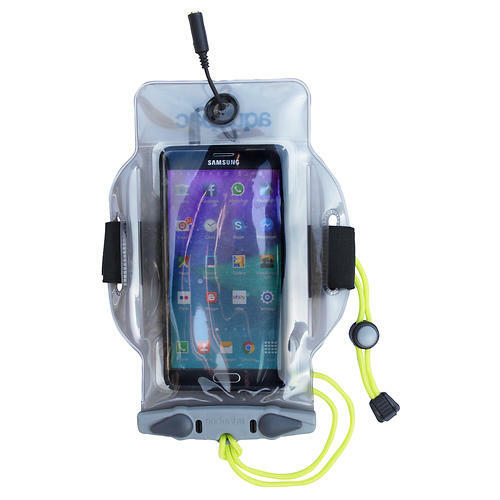 Your smartphone is expensive; protect it from water, dirt, dust and sand with the Aquapac Waterproof Phone Case - 358. Talk, listen and operate controls right through the case. All Aquapac waterproof cases are PVC-Free. They're made from Polyurethane (PU) - 100% recyclable, thinner, stays flexible when it's cold, easier to operate equipment inside the cases. 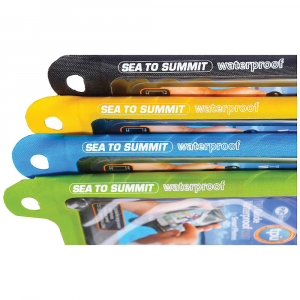 The Phone Case uses Aquapac's patented lever closure system that makes the case waterproof down to 30 feet / 10 meters. Fits the iPhone 6, iPhone 7, iPhone 7 Plus, iPhone 8 Plus, Google Pixel XL, Samsung Galaxy Note 4 and similar size large phones. Most things work normally through the PU case, including the camera and touchscreen. The exception to this is you lose use of the touchscreen when the case is submerged; water breaks the circuit between your finger and the screen. Use the phone's volume buttons to operate the camera underwater. You'll be able to talk and hear without a problem. It comes with an adjustable lanyard, so you can wear it around your neck or cinch it to your life jacket. The case should float with phone inside. Test that before you depend on it.